Munich - Since being founded in 1963, when Germany's best sides were united in one top-flight division, the Bundesliga has gone on to produce countless unforgettable memories in the 50 years since. bundesliga.com asked some of the league's legendary protagonists of the last half century: What is your greatest Bundesliga memory? Uwe Seeler (Hamburger SV, the Bundesliga's first-ever top goalscorer): "There's no doubt about it being the foundation of the league in 1963. Everyone had been longing for the best of the best to compete in the same competition." 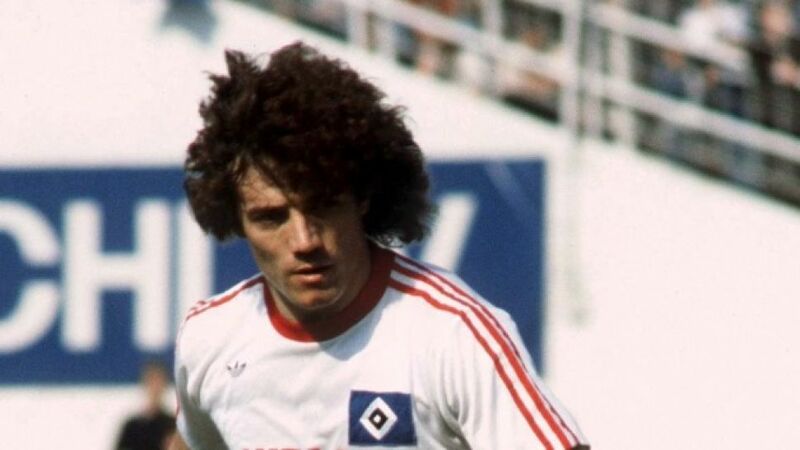 Kevin Keegan (European Footballer of the Year in 1978 and 1979, at HSV between 1977 and 1980): "The Bundesliga brings back great memories. We only played route one football in England in those days, while in the Bundesliga the game was much more flexible. Ernst Happel (Hamburg's head coach at the time) taught us a pressing game that was unparalleled in world football." Ailton (former SV Werder Bremen, FC Schalke 04 and HSV striker): "Becoming top goalscorer in 2004 in one of the world's best leagues and the strong ties with the Bremen fans were my treasured highlights. I had the best time of my life there." Thomas von Heesen (European and Bundesliga champion with HSV in 1983): "The great successes with HSV obviously stick out in my memory. Then again I'll never forget how we secured back-to-back promotions in oder to qualify for the Bundesliga with Arminia Bielefeld between 1994 and 1996 either. I also scored my 100th Bundesliga goal at the time." Jens Lehmann (former Schalke and Borussia Dortmund goalkeeper): "I have lots of great memories, yet my equaliser to secure a last-gasp 2-2 draw for Schalke against BVB, in what is Germany's greatest derby, has to be the absolute highlight." Guido Buchwald (former VfB Stuttgart and German international): "I'll never forget scoring the decisive goal on the final Matchday of the 1991/92 season, which helped us win the title. Frankfurt had it in their hands and everyone expected them to overcome Rostock who had already been relegated. However, they lost 2-1 and I headed in the winning goal in a 2-1 win over Leverkusen four minutes from time - wicked, unforgettable." Felix Magath (long-time HSV player, former coach of VfL Wolfsburg): "Us [HSV] winning the European Cup in 1983 against Juventus was without a doubt my best experience. Furthermore, in the same year we secured the Bundesliga title on goal difference by beating Schalke 2-1 at their ground, with Bremen finishing as our closest competitors. In my coaching career, the 2009 Bundesliga title with Wolfsburg stands out. We went into the winter break in ninth, and then staged a sensational comeback. VfL winning the trophy is one of the greatest sensations in Bundesliga history."